Gum disease is a highly prevalent health condition in the U.S. and the primary reason most people lose their teeth. The majority of adults over age 18 have some form of gum disease, whether mild form of gingivitis or a more serious condition called periodontal disease. Symptoms may begin as reddened, inflamed gums that bleed easily. Eventually, the gums may recede and the teeth may loosen from the jawbone, eventually falling out. Fortunately, there are steps you can take to help prevent gum disease and keep the soft tissues of your mouth healthy and disease-free. Your toothbrush is the most powerful tool you have in the fight against periodontal disease. Whether you choose a manual toothbrush or an ADA-approved electric toothbrush, be sure you are swapping them out at least every three months, and preferably sooner if the bristles are fraying. The American Dental Association also recommends allowing your toothbrush to air-dry in an upright position to prevent the accumulation of bacteria. You may even opt to have two different toothbrushes – one that can be used while the other is still drying. Most importantly, never share a toothbrush or store one in a closed container. You know you should be eating your vegetables for health, but did you know that eating them raw could have dental health benefits? When you chew raw, fibrous vegetables, you not only stimulate blood flow in the gums through mastication, but you also help to keep the teeth clean and free of plaque-causing debris. Brush your teeth, but don’t forget your gums. Often, bacteria accumulate along the gum line, damaging the soft tissues and causing gingivitis. If you are not brushing correctly, you could be facilitating an environment where bacteria can hide. Unfortunately, the majority of people do not brush correctly, instead avoiding the area along the gum line that is susceptible to plaque. Next time you clean your teeth, hold your toothbrush at a 45-degree angle, carefully brushing both your teeth and gums at the same time. Bone health has a lot to do with periodontal disease, since a deteriorated jawbone can contribute to more rapid tooth loss and disease progression. There are many ways you can take care of your bones and prevent degeneration. First, if you smoke, you should stop, as smoking can cause bones to become brittle and weak. Next, incorporate more calcium and vitamin D into your diet. Calcium from dairy and leafy green vegetables can help strengthen the bones, and vitamin D aids in the absorption of calcium. Also, vitamin D may be able to reduce gum inflammation and bleeding in diseased gums. Even with proper brushing and healthy dietary habits, your mouth could still be harboring harmful bacteria that increases your risk of periodontal disease. Try scraping your tongue 10 to 15 times to remove bacteria, and rinse after brushing with mouthwash. Though there are several mouthwashes available, some may produce better results than others. Listerine, for example, has the ADA seal of approval as an anti-microbial agent that kills bacteria within 10 to 30 seconds. 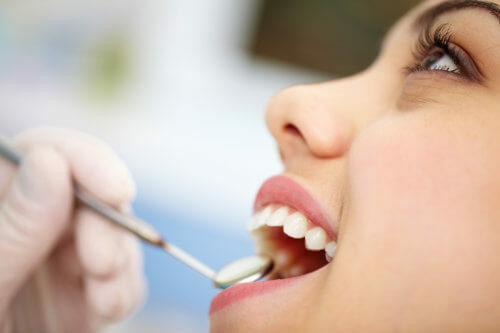 Gum disease can begin as a very subtle condition with minimal symptoms. In fact, many people live with gum disease, allowing it to progress without even realizing it. Diagnosis and treatment is essential for tooth preservation, which is why you should see a dentist here at Briter Dental regularly. An exam can identify the earliest stages of gum disease, allowing you to intervene before it causes permanent damage. For more information about gum disease or to schedule your in-office consultation, contact our team today. We look forward to serving you soon.